No water, No life. No Blue, No Green. —Sylvia Earle. The magnitude of these wise words resonates through all process industries today. With water becoming one of the scarcest resources, industries such as refineries, chemical plants, paper mills, and electric utilities that heavily rely on water for operations are the most vulnerable to challenges concerning water throughput and operational costs. Pure water which is attained with ion exchange resins is the lifeblood of every industrial process plant. Ensuring that enough high-quality water is generated at optimal costs is, therefore, a critical, strategic goal for high-performing industrial water systems. When it comes to the cleaning process, most of the organizations are forced to replace the expensive water treatment resins and demineralizers that are the last purification keys before the water goes to the boiler. At this juncture, Fort Washington-based Recirculation Technologies (RTI) assists organizations to bypass the costly replacement process by providing ion exchange and reverse osmosis (RO) membrane cleaning. With a ‘Restore…Don’t Replace!’ approach, the company has been instrumental in delivering a plethora of services for water system improvement. RTI brings in highly effective protocols for cleaning resins fouled with hardness, iron, hydrocarbons, microbiological, and natural organics. “Water plays a more important role in such industries and having a water plant that works efficiently and effectively is critical. We effectively clean the ion exchange demineralizers and are the only patented company that can do it at a fraction of the cost of replacing the resins,” adds Stuart Bryan, CEO, RTI. As important, consistently higher throughput over time through cleaning ensures lower regeneration costs. 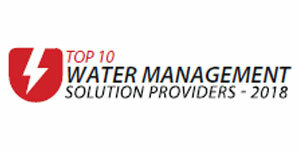 Backed by a combination of unparalleled experience in managing water systems and a hands-on approach that focuses on real results and demonstrable reductions in risk and savings, RTI takes an integrated approach to keep water systems performing at optimum levels with its Predictive Restoration program. This program utilizes data as both a guide and a critical element in auditing performance and has developed patented technologies and easy to implement processes at all phases. The company offers technical audits to identify improvement opportunities in the water plant, ion exchange resin restoration, RO membrane restoration, and resin and RO membrane replacement. RTI can also separate and recover cation resin intermixed in anion material, as well as conduct a pump and hold operation for maintenance work on an exchanger vessel without disrupting the operations of the plant. Being a pioneer in developing independent and extensive lab analytical capabilities, RTI facilitates clients with water manager software to monitor performance and predict system needs, water truck back up for uninterrupted plant operations and emergency services for when the unexpected arises. The company also marks its unique presence in the industry with highly customer oriented multi-year service arrangements to facilitate focus and budget flexibility. A typical client engagement begins with experts from RTI generally getting the overview of the client water system and collecting samples of their ion exchange resin. These samples are then analyzed at the RTI lab for identifying whether to clean or replace the resin. The team of cleaning professionals arrives at the site on a trailer truck and performs the cleaning process. “With our experience and expertise, the payback cost of cleaning resins in large process plants is much faster,” adds Bryan. In the long run, the company is working to create a future option to use the customer’s equipment on site, enabling them to clean the resin themselves at any time with support from an RTI representative. “The project is starting soon, which involves using customer equipment to clean resins similar to how we perform with our trailer trucks. This significant process development allows customers to have successful results on their own schedule,” concludes Bryan.